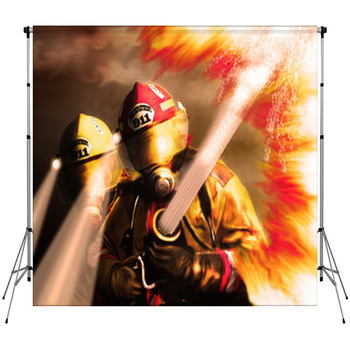 If you cant stand the heat, keep your distance from these firefighter backdrops. 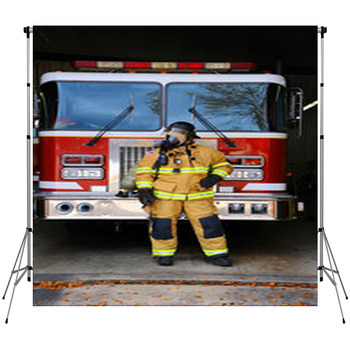 Full of the flames they face in the line of duty, these designs give you firefighters in the thick of their battle against scorching blazes and suffocating billows of thick dark smoke. Reach out for a life-saving hand in the midst of an inferno. Put a vintage firefighting plane in the sky, dropping thick bright clouds of water on a dark forest misted with smoke, on a backdrop that would be gorgeous in other circumstances. 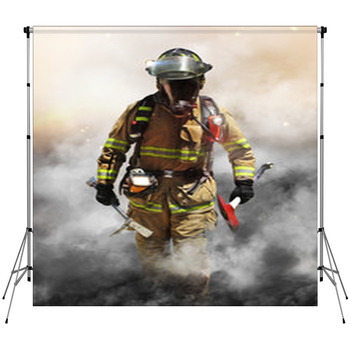 Honor our firefighters with a custom size backdrop in your shot. 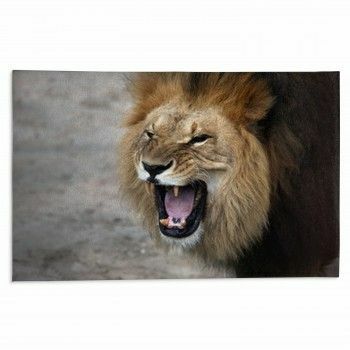 Put a blazing forest behind your subject. 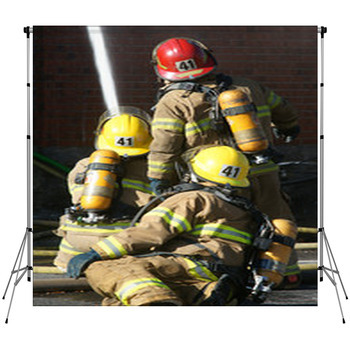 Let a line of firemen meet a wall of flame. 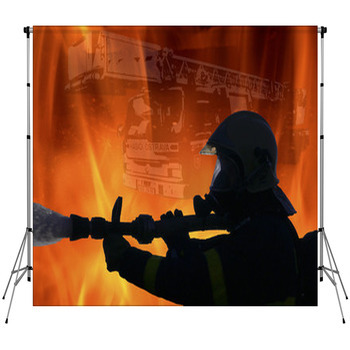 Stand tall with firefighters silhouetted by towering flames on a custom backdrop. Look down at the steep drop of a grassy cliff and a rescuer strapping an injured climber into a bright yellow gurney. 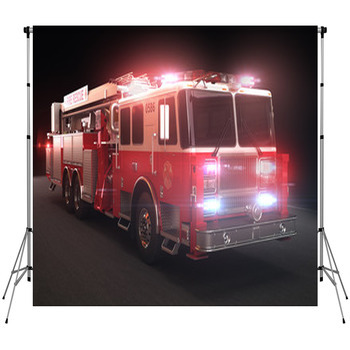 Shine a little fireman's light on the little hero in your studio with a bare-footed uniformed tyke in a red fireman's hat sharing the stage. 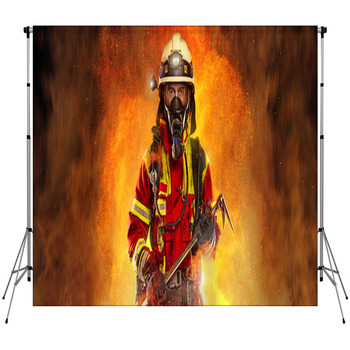 From searing photography to colorful collections of a fireman and his gear, this collection of firefighter themed backdrops gives you a range of imagery to back up your shot with. 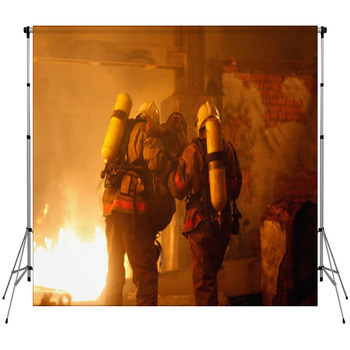 Whether you go for the beautiful colors of the worst of blazes or the somber tone of gas-masked responders captured in Sienna, pay tribute to the firefighters that protect the house in front of a stunning mushroom cloud of dark smoke, brightening as it stretches closer to the sun. 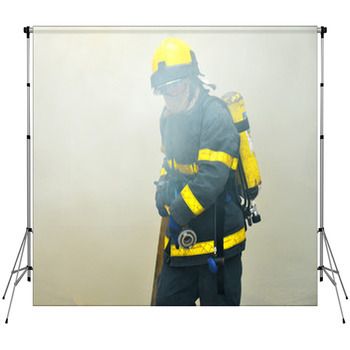 Celebrate the heroes that drown fires at sea with the backdrops.